Cost-Effective Solution for UL Certification - Simplex System Controls Inc. In a previous article, we discussed the criteria you can use to identify and source high-quality control panels. For example, the design and construction of your panel should comply with all relevant industry codes and best practices including those specified by NEMA, IEC, NEC, and/or NFPA. In the same article, we stressed that you should look for panels produced by suppliers that employ high-quality management and control processes, such as those embodied in the Six Sigma framework or ISO9000. An additional factor to consider is the ability of your supplier to provide a UL certification for the panels you purchase. 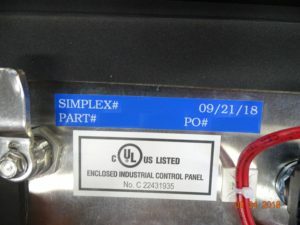 Look for a shop, such as Simplex, with a UL Listing. This indicates that UL has tested representative products manufactured by the supplier and determined that they meet specific, defined requirements. These requirements are based on UL’s published and nationally recognized Standards for Safety. The UL standard applicable to most control panels is 508A. This is the UL Standard for Safety of the Construction of Industrial Control Panels and covers proper component selection, wiring methods, and calculation of short-circuit current ratings. Some companies who source panels may also need to meet other, more specialized, UL standards. These can include 1203 (explosion-proof and dust-ignition-proof electrical equipment) and 698a (relating to hazardous locations). A UL listing helps the end user of a control panel satisfy regulatory requirements. UL Listed Industrial Control Panels are constructed and marked to facilitate installation. As such, the UL Listing Mark is widely recognized and accepted by municipal inspection authorities. If so inclined, a company can take on the responsibility of certifying any or all of the control panels that they source for customers. To do so, however, requires a significant investment of both time and money. In most cases, it is simply more cost-effective to work with a UL listed panel shop such as Simplex. In a recent conversation, Mike Lerner, a senior electrical engineer with Urschel Laboratories, shared his perspective on UL certification and how collaborating with Simplex to produce control panels benefits his company. Indiana based Urschel Laboratories is a leading manufacturer of commercial food cutting equipment. 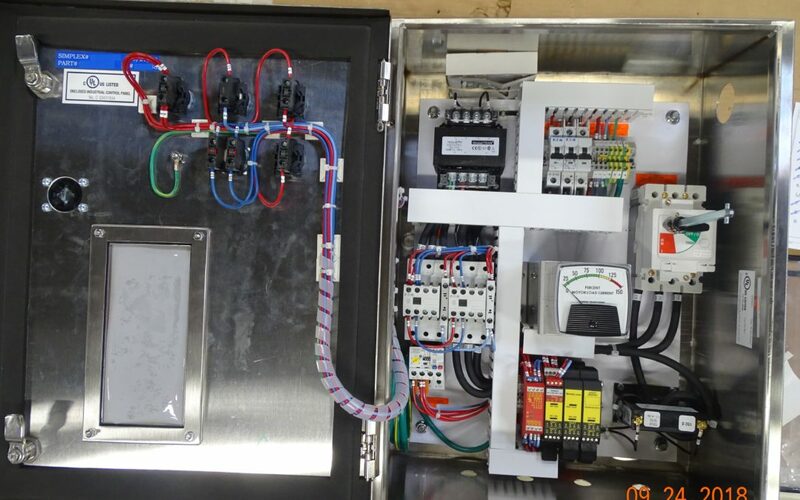 As an in-house manufacturer, Urschel designs the integrated electrical control panels for their slicing, dicing and cutting products and contracts with Simplex to produce the assembly. Urschel Laboratories and dozens of other companies rely on Simplex to meet customer demands for UL marked panels. It is just one of the many ways Simplex provides value for our customers. Share with colleagues and friends.